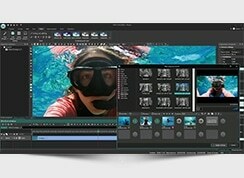 Flash-Integro, a leading free software developer, launched a new version of its flagship video editor designed to deliver cutting edge editing features for both home and professional use. Optimized performance ensuring seamless work with video and audio files was the top priority: key improvements largely driven by user feedback include increased overall productivity and an extended list of maintained formats. 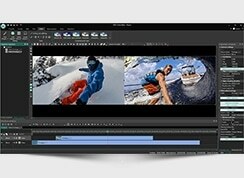 As an upgraded successor of VSDC Free Video Editor’s previous version, the released program inherits the most required features of the previous model, such as stunning video/ audio effects, 3D dynamic charts reinforced by a number of advanced enhancements. 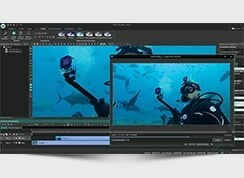 The totally renewed code has increased performance by more than 50% while so wanted H265/HEVC codecs easily convert GoPro materials into topnotch pro videos assuring superior UHD viewing experience due to 2K and 4K support. In response to ever-growing users’ demand, the updated version also supports IPhone Live Photos and FLAC audio format for the lossless compression of digital audio. 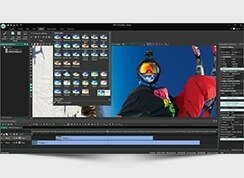 All these new features have made the editor an indispensable working tool for both business and educational purposes. 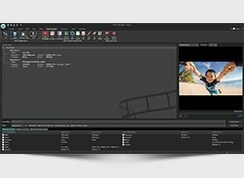 “Since its introduction in 2011, VSDC Free Video Editor has become our flagship solution widely praised by our users – those who need to make pro slideshows with 3D charts, presentations and videos. 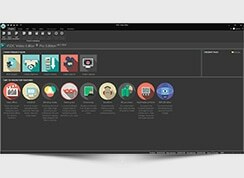 Today we are excited to introduce its 4-th version which can enter a fair competition with commercial counterparts due to its wide array of pro editing features” – says Anastasia Khapova, Project Manager.